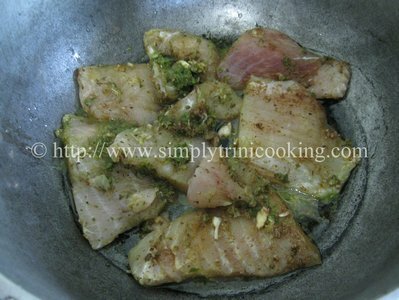 All I can say is this Steamed Fish with Stir Fried Veggies is truly an original recipe from Simply Trini Cooking, which grew from necessity and what was available in the fridge at the time. Funny and desperate as the situation may have seemed at the time, it became an instant hit at home, and I was always asking my wife for the “fish recipe” for lunch. 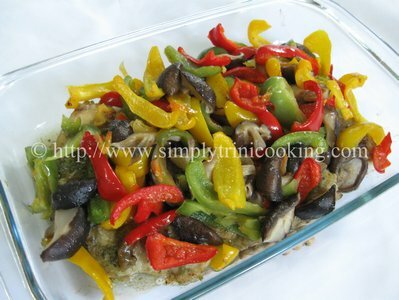 Here’s steamed fish with stir fried veggies! 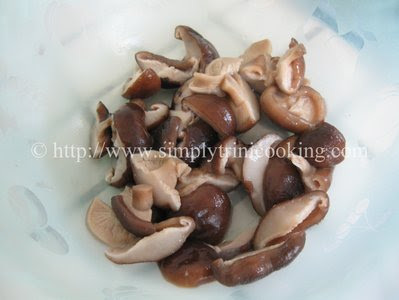 *You can use your favourite mushroom. 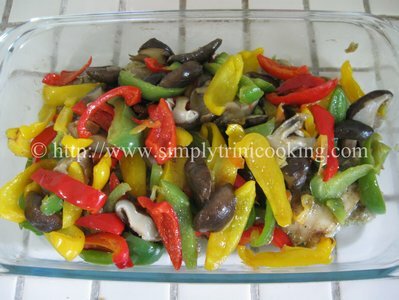 In this recipe we used Po Ku mushrooms. 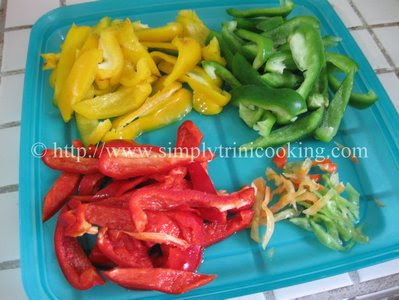 Remove the seeds from the peppers and julienne into thin strips. 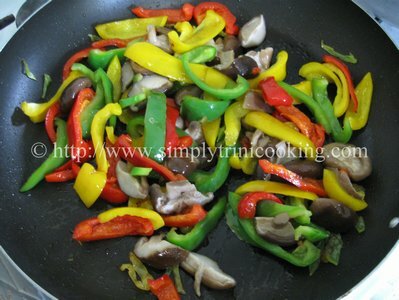 Blend the garlic, ginger, 2 tsp. 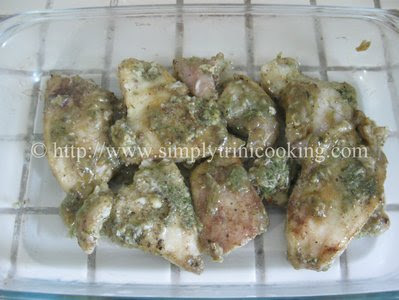 of green seasoning, water, and five spice. 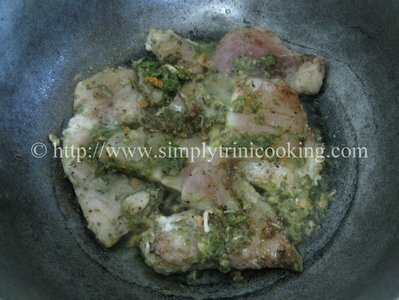 Pour over the fish and allow it to marinate for about 30 minutes. 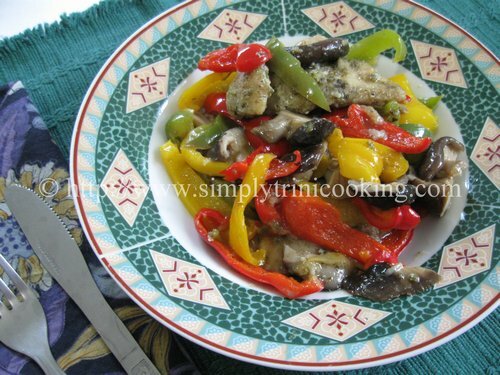 Chop the mushrooms and set aside. 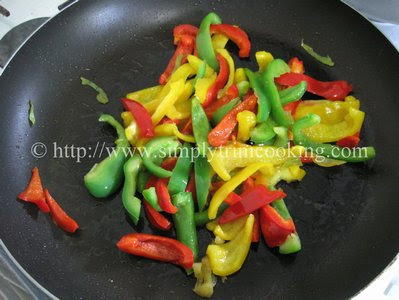 Place the peppers in 2 tbsp of oil and allow it to cook until slightly tender. 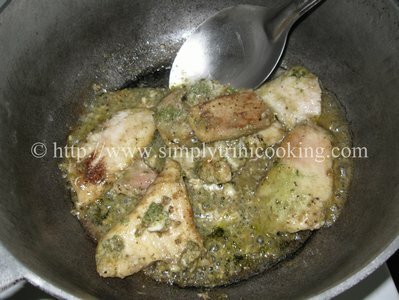 Place only the fish in a deep sauce pan or pot with 2 tbsp of oil and allow to cook. 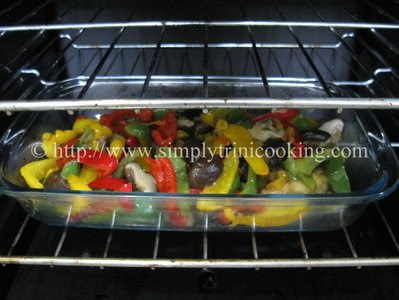 You may have to turn it over after 5 minutes and let it cook on the other side. 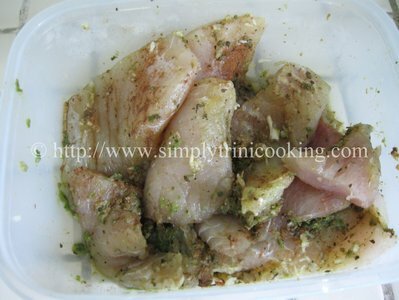 remaining marinating sauce and pour over the fish. 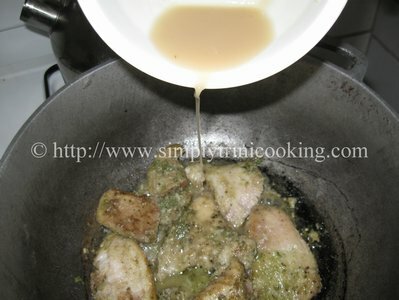 until the fish is cooked and the sauce is thickened. What else can I say, it’s really delicious. You have to try it.